Timeless Classics is nothing but a fitting title for the Valentine concert of Martin Nievera and Lani Misalucha who, for so many years, have been staple faces on the concert circuit during the love month. The concert is going to be a showcase of songs the two OPM icons have originated and popularized through the years. And yes, they are doing this concert simply because of a demand from concertgoers who anticipate their V-Day with songs from these seasoned performers who have shared the stage together for a couple of shows already. Directed by Louie Ocampo, the concert promises an unforgettable romantic night come Feb. 14 at the PICC Plenary Hall. OPM icons Lani Misalucha and Martin Nievera share the stage once again for an evening of romantic music on Feb. 14 at PICC Plenary Hall. “We are going to do songs that are timeless, give you our renditions, all timeless classics and I always put things around Lani and it will be a good night. We won’t be putting in too much songs you would get tired. There will be Motown, feel-good type of songs. Lani will also sing a new song called ‘Timeless.’ It’s a great song,” Martin shared. “He is OC, a control freak, but he wants that. He and I want people to have a good time. He is an appetizer for that Valentine’s night, he sets the mood. The songs will be beautiful, it won’t be the songs we did in the past, better bigger song numbers,” she added. Martin and Lani’s first major concert together entitled Masquerade premiered in the United States in October 2016 and was produced in Manila in February the following year. The two-night show in one of Manila’s prestigious ballrooms was such a huge success that it saw a repeat the following month. This year, Masquerade was nominated as Concert of The Year at the 9th PMPC Star Awards for Music, while Martin and Lani were nominated for Male Concert Performer of the Year and Female Concert Performer of the Year, respectively. At the recently concluded awards night, Lani bagged “Female Concert Performer of the Year” for her performance in Masquerade. Timeless Classics is produced by Star Media Entertainment in association with Global Police Community Relations. Part of Timeless Classic’s proceeds will go to the charitable projects of the Rotary Clubs of Makati East, Cubao Central and Parañaque East. Tickets are available at all Ticketworld outlets or call 891-9999. Discover the secret behind the universality and timelessness of Norwegian painter and symbolist Edvard Munch’s creations in the film entitled Let the Scream be Heard, which screened over the weekend. The documentary is an attempt to understand that obtaining 15 minutes of fame—or even say 15 seconds—is deeply sought after. Five short films entitled Glimpses of Edvard Munch’s Life, 1863-1944, Faces, A Self Portrait, and Post Mortem, are slated for Feb. 15 and 16. These are brief clips about the revered expressionist’s prolific career which spanned for over 62 years and produced more than 40,000 astounding works of art. 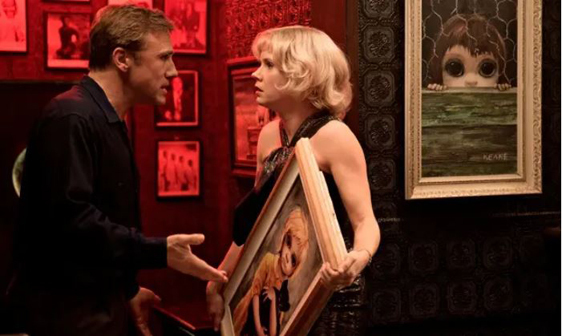 Learn about the phenomenal success of Margaret Keane’s painting in Big Eyes, on February 22 and 23. The story also narrates her association with her husband, Walter Keane, one of the most successful painters of the 1950s and the early 1960s, who was hurled to international fame while taking credit for his wife’s pieces. The screenings are free and open to the public. Showing dates are on Fridays and Saturdays, from 12:00 nn to 3:00 p.m. at The Loop, 112th floor, DLS-CSB School of Design and Arts Campus.